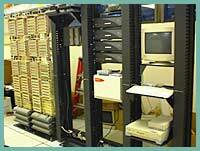 Ibid County Electric has played a major role in various levels of data / network systems installations. We provide BICSI ® certified technicians to meet the challenges of implementing and servicing today's high-speed networks. Successful projects on which we have proven ourselves include mission critical applications. 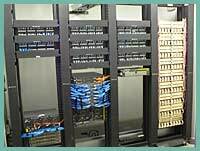 Fiber Optic backbone and network systems. Our highly trained staff of technicians maintains certifications through Continuing Education courses and receives specialized training through the National Joint Apprentice Training Committee. All cabling installations are done in accordance with EIA/TIA 568B.1 standards. Copyright © Ibid County Electric, Inc.